Available in a range of colors, these popular wholesale flowers are perfect for wedding flowers, bridal bouquets, cake decorations and colorful floral arrangements. 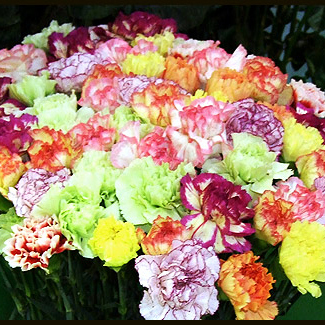 With strong, erect stems each bearing up to 4, delicately scented blooms, Carnations are a must have for every floral boutique. Click on thumbnails for further information.